A lot happened at this year's GDC - let's take moment to review all of the interesting news from game industry leaders. Although there were dozens of important announcements during the week, three stood apart from the rest: Google's announcement of Stadia, Nintendo's partnership with Microsoft, and Microsoft's demonstration of its Project xCloud Software Development Kit (SDK). Stadia utilizes the amazing cloud infrastructure of the Google Data Center network to allow developers to create and run games in the cloud and stream the game to player's TV, tablet, phone, desktop, or laptop. This topology is advantageous for multiplayer games, especially the ever-popular Massive Multiplayer Online (MMOs), allowing developers to theoretically have thousands, or even tens of thousands, of concurrent players (image from Stadia keynote). In addition to making disruptive changes to the standard console-style of gaming, Google is also looking to close the gap between spectators of live streams and content creators streaming their gameplay footage. Using features, such as Crowd Play and State Share, Stadia allows viewers of a live stream to join the streamer playing a game or play a game from the same point (and with the same save-state) as the streamer, respectively. The launch date for the service. The full suite of launch titles. Cross-compatibility with existing consoles (i.e., can Stadia games player against PlayStation (PS) 4, Xbox One, or Switch gamers?). While rumors had been swirling around about a partnership between Nintendo and Microsoft—including speculation that Xbox Live and Xbox Game Pass may be coming to Nintendo Switch—it is all but official that the two companies have allied with one another. On Wednesday, Studio MDHR announced that Cuphead—previously an Xbox and PC exclusive title—would be coming to Nintendo Switch. 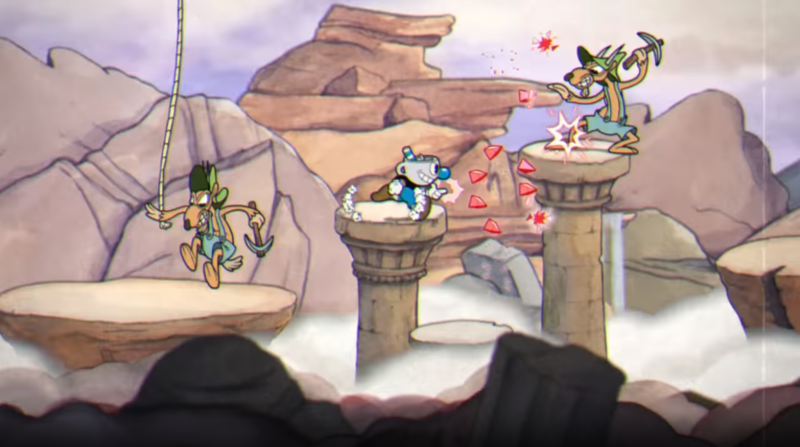 Outside of the gaming community, this may appear to be a benign addition to the Switch library, but, in reality, the announcement by the Microsoft affiliated studio means that Microsoft is looking to build a closer relationship with Nintendo, beginning with the sharing of its exclusive titles (image from the official Cuphead Nintendo Switch Announcement Trailer). In addition to the Cuphead announcement, Chris Charla (Senior Director of ID@Xbox) stated in an article on Wednesday that Microsoft was actively looking to expand Xbox Live beyond Microsoft products—even beyond Android and iOS. He mentioned that Microsoft is working closely with its studios, including Studio MDHR, to explore adding Xbox Live to the Nintendo Switch. We’ve had some good conversations with [StudioMDHR] about Xbox Live and the gaming community, especially after we saw what Mojang had done with Minecraft and the Bedrock Edition. With Sony's dominance of the current console generation, it looks as though the underdogs—namely Microsoft and Nintendo—are looking to leverage their respective strengths and join in a partnership to expand their foothold in the gaming market. 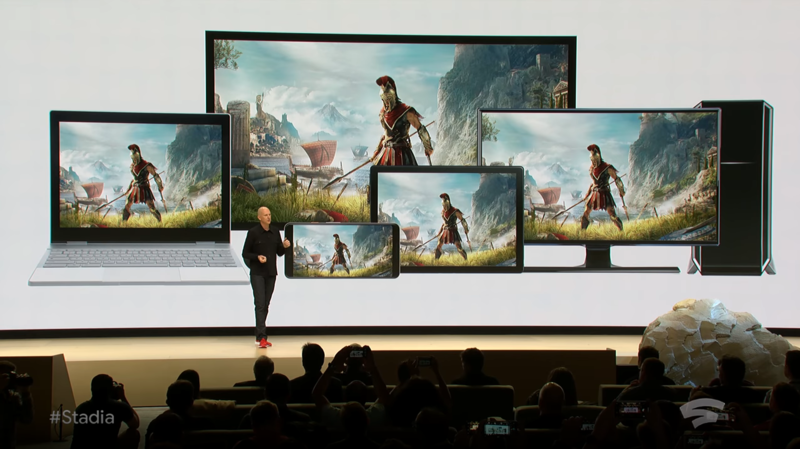 The announcement of Google Stadia on Tuesday put a great deal of pressure on Microsoft to showcase its streaming service: Project xCloud. On Thursday, Microsoft finally disclosed details about the streaming service, and at first glance, they seem very promising for xCloud's future (image from Russell Holly on Twitter). 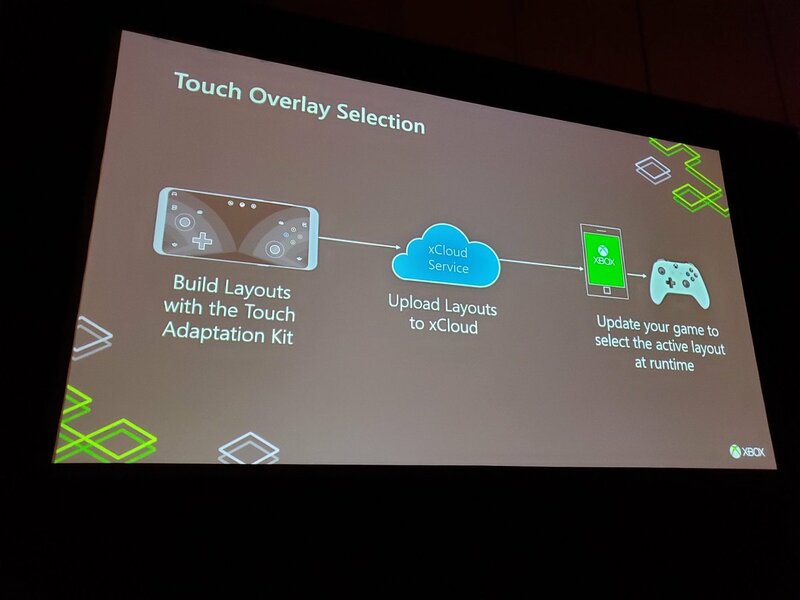 The inclusion of glass-controls for xCloud games played on mobile devices (i.e., game controls directly on the screen without the need for any external device, such as a controller). The ability for developers to dynamically change the glass-controls for a game depending on the situation; for example, a game can have one set of controls displayed when a character is running and another set displayed when the character is driving. The ability of developers to recognize when a game is being streamed to a device, allowing the game to perform actions that would otherwise be available, such as the ability to save the state of a game when the device is disconnected, even if a player has not reached a designated checkpoint. The compatibility of all Xbox One games with xCloud, meaning that all existing Xbox One games are playable on mobile devices through xCloud. While there are still a lot Microsoft has not shown about Project xCloud, this first look at the xCloud SDK has put some of the worries about xCloud—on the heels of the Stadia announcement—to rest. For now, it looks as though Microsoft is going to leverage its intimate knowledge of the gaming community and its library of games to counter the brute cloud-strength and development prowess of Google. Oculus: Quest announced: Oculus announced its anticipated, all-in-one Virtual Reality (VR) gaming system on Monday, priced at $399 and scheduled for release in 2019. Oculus: Rift S Revealed: In addition to promoting the Quest, on Wednesday, Oculus also announced the release of the Rift S, which will release this Spring for $399. Google: Improvements to the Google Play Store: After acknowledging that Android was one of the more difficult platforms to develop for, Google announced on Monday that improvements would be coming to Android and the Google Play Store, including new revenue streams (i.e., subscription-based games), more concise and pertinent metrics, and debugging and optimization tools. Unity: Real-time Ray-tracing in Unity: Unity announced on Monday that it would be including support for ray-tracing in their game development engine and released a Reality vs illusion: Unity real-time ray tracing commercial with BMW demonstrating the technology. Unity: Two New DOTS-based Physics Engines in Unity: Unity also announced on Monday that it would be releasing two new Data-Oriented Technology Stack (DOTS)-based physics engines for Unity: (1) Unity Physics, a free, cache-less engine and (2) Havok Physics, a paid physics engine created in partnership with Havok. Unity: Tencent Partnerships and Call of Duty on Mobile: Unity announced a partnership with Tencent on Tuesday that would bring cloud-capability to the game development engine and also announced that a new game, Call of Duty: Mobile, will be coming mobile devices—also in partnership with Tencent. Epic: New Tools and Improvements Coming to Unreal: Much like Unity, Epic announced on Wednesday that Unreal engine would be getting three significant improvements: (1) an online services SDK based on lessons learned from Fortnite, (2) an integrated physics engine called Chaos, and (3) support for ray-tracing. Epic: Epic Games Store Will Not Pay for Exclusivity Forever: After courting various studios to make their games exclusive to the Epic Games Store, Epic announced on Thursday that it would eventually stop paying for exclusivity of games once the Epic Games Store gets enough momentum. Nintendo: Nintendo Shares Its IP With Third-Party: Nintendo revealed the Cadence of Hyrule—a Crypt of the NecroDancer spinoff that includes The Legend of Zelda characters, whom Nintendo had been previously possessive of—on Wednesday during its Nindies Presentation. Valve: Steam Getting an Overhaul: In light of the store wars between the Epic Games Store and Steam, Valve announced on Thursday that Steam would be getting some vital User Interface (UI) improvements, including upgrades to the Library page and developer-provided socialization information for games. There was plenty of news announced during the week, but there are just as many questions still swirling as GDC 2019 comes to a close. For example, how much will Stadia cost and when will it launch? How well will xCloud work on mobile devices and on which systems will it be available? Although PAX: East starts next week, we will likely have to wait for the Electronic Entertainment Expo (E3) in June—along with independent announcements—to answer the many open questions left in the wake of GDC 2019.